Bandai created armored cats ("Nekobusou") as a jokey tweet whose unexpected popularity inspired the toymaker to go into production with a like of armored cat figurines ranging from $5-14 each. The Armored Cats are debuting at a hobby show in Japan right now but for those without access like us will have to wait until August. 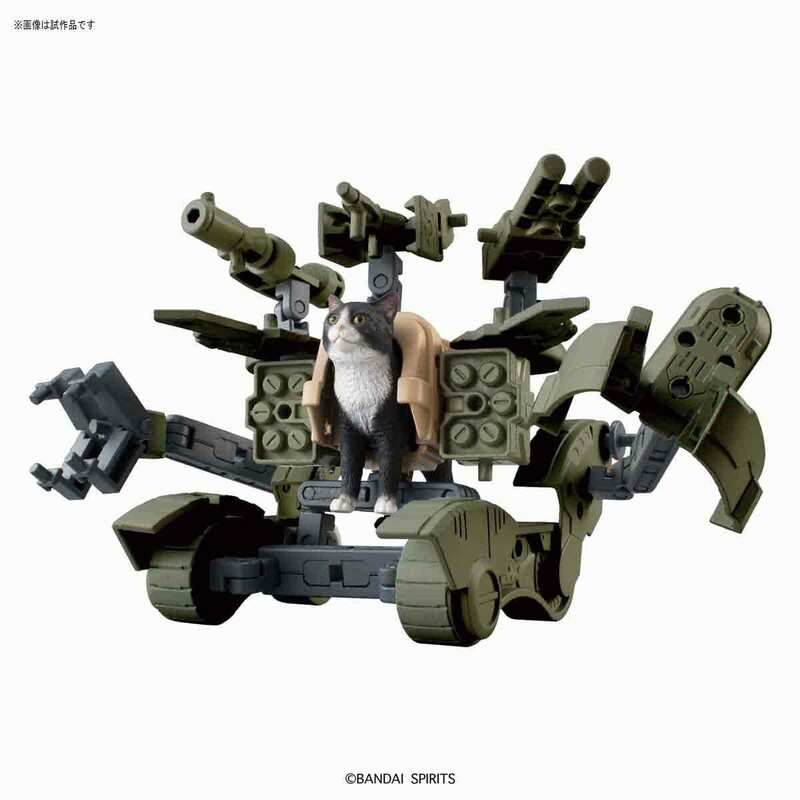 The armored cats will come in various types of cat figurines and various configurations of armor. The simple pieces (namimori) plan to retail for 500 yen while the decked out cats (tenkomori) will sell for 1,388 yen.